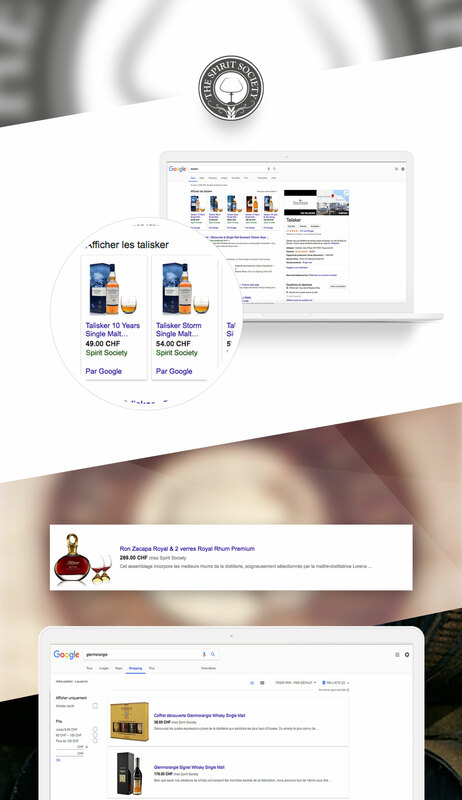 Following the creation of The Spirit Society’s e-commerce website, we have implemented specific campaigns on the Google Shopping network. Thus, the products benefit an excellent showcase on the search engine platform and the user can, at a single glance, obtain the information he seeks. The photo of the product makes the ad more impactful and encourages the user to click.